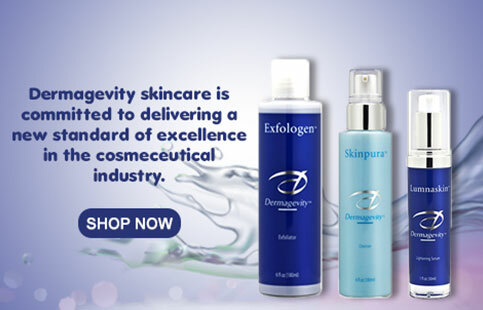 Dermagevity - Now you can restore and tighten tired skin, protect it from the elements and simplify your beauty routine. Custom formulated skincare once available to private clients only is now available so women like you can amplify your beauty. We have been in the skincare business for 11 years and and we stand by our famous “Dramatic Results in 60 Days or Your Money Back” guarantee! These are THE products I've been waiting for that actually work in the harsh conditions of the Australian outback. After two months of using the Dermagevity Skincare range instead of my old greasy moisturizers and cleansers, my skin has recovered, is now protected, and now I have less fine lines and wrinkles. When I was young, it was always about being tan and having that "summer glow". Now, in my 50's, it's about looking and feeling younger. When I use the overall combination of Eyelastin, Skinlastin and Nexifirm, it amazes me how it takes my face from "looking" my age, to the "Wow! You can't be THAT old" compliments. Each product is amazing by itself, but when you use them together, they really take it to another level. I rarely do testimonials, but this product line deserves 5 stars! I have been using Eyelastin for over five years now. I have tried many things for my eyes before but this is by far the best. Yes it is more expensive but my attitude is you get what you pay for. I am 46 years old, will be 47 this year and I barely have any wrinkles around my eyes due to the eye cream that I have been using for so many years. Because of this eye cream there is no reason to ever look at Botox or surgery as this does make the lines go very fine or invisible. I just would really love for there to be a stockist in the UK. 1. Cleanse with Dermagevity's Skinpura to purify, clarify and smooth parched skin laying the perfect foundation for reducing your fine lines and wrinkles with targeted and intensive wrinkle smoothing power where you want it most. 2. 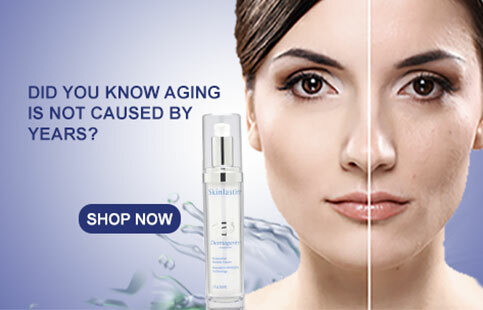 Follow with your age-defying Skinlastin - all over your face to tackle key signs of aging. Join the Dermagevity Club and earn points when you shop. Redeem points for rewards at checkout, gain early access to special offers and enjoy a free birthday gift each year. Never run out of your favorites. Lock in exclusive benefits when you sign up for auto - delivery. Sign up for our e-mail and be the first to know our special offers! Save 20% on your first order. Website is provided for general informational purposes only. It is not intended as and should not be relied upon as medical advice. If you have a medical concern, please consult with your physician.